Affordable housing in the county has become a dividing line between the Democratic and independent candidates for County Board. The candidates fielded questions from Arlington’s civic associations about various issues facing the county, including communication with residents and the commercial vacancy rate during a Civic Federation meeting last night. Arlington residents will vote for two new County Board members on Nov. 3. Democrats Christian Dorsey and Katie Cristol both spoke in favor of the Affordable Housing Master Plan, which the Board will decide on this month, while independents Mike McMenamin and Audrey Clement said they would vote against the plan. The problem with the affordable housing plan, said Clement, is that it continues to rely on “densification” — building more housing in order to also add subsidized affordable units. Development has made housing more expensive, and has contributed to the loss of market rate affordable housing, she said. “The actual economic assumption behind it is fallacious,” said Clement. If voted onto the County Board, one of her first priorities would be the creation of a housing authority, which would put all housing agencies under one roof, similar to Fairfax County, Clement said. She also took issue with what she said would be a $90 million cost that the county would shoulder each year. 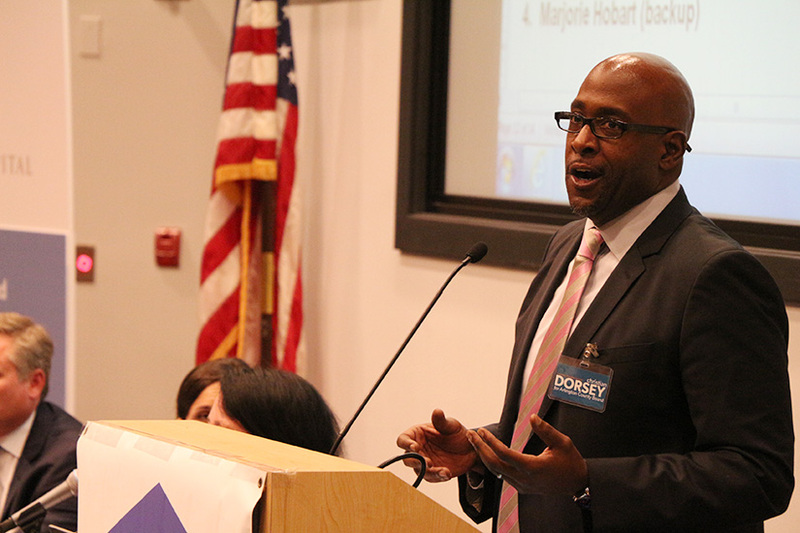 Dorsey disagreed, arguing that the plan is good for the county from an economic standpoint. “When you have people who can live affordably, you have people who can spend money in your community,” Dorsey said. For Cristol, the plan presents a way to help protect the middle class. While campaigning, she has heard from residents who say they would not be able to afford their homes if they had to buy them today. “I believe the status quo in Arlington is hostile to the middle class,” Cristol said. The plan isn’t perfect, Cristol said, adding that some of her South Arlington neighbors have asked for the plan to be more firm about geographic distribution. While housing affordability is an important topic, McMenamin said it is the wrong issue to be prioritizing, separating himself from the three other candidates who include affordable housing as a top platform issue. “We’re betting everything on affordable housing when we have a school crisis,” he said, referring to the burgeoning student population, overcrowded schools and the proliferation of trailer classrooms across the county. 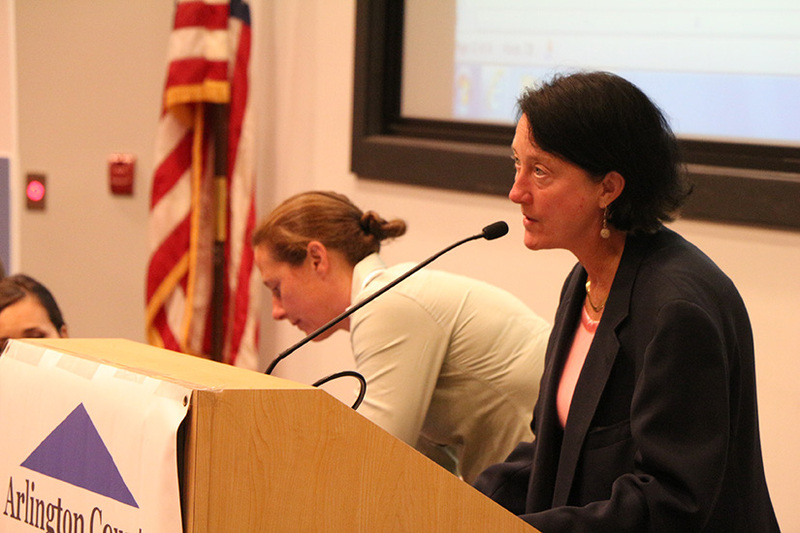 Arlington also needs to focus on the commercial vacancy rate, McMenamin said, an issue all candidates agreed on. 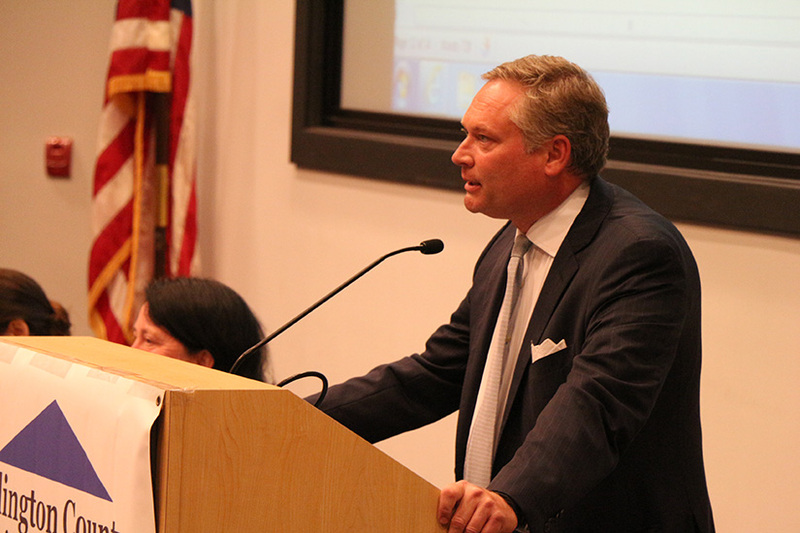 The county needs to work on “getting businesses back in the county,” he said. The county should focus on becoming a home for large companies like Marriott — which is considering moving from Maryland — but also provide a nurturing environment for startups, he said. The county needs to find “creative ways, like tax relief,” to make the county more attractive to business, McMenamin said. Making it easier for small businesses is an absolute must, Dorsey said. He proposed streamlining the process of starting a business in Arlington. 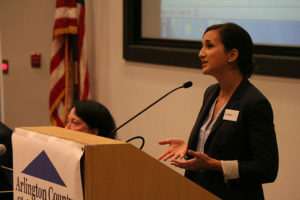 Cristol agreed that Arlington could be a hub for new businesses, such as companies in the medical technology industry, but she said that the county should not keep lowering the tax rate without a plan. “We need to plan for the Arlington we want to see instead of blindly lowering the tax rate,” she said. Candidates were also asked about the process behind County Board decisions, which some residents said is unsatisfactory. 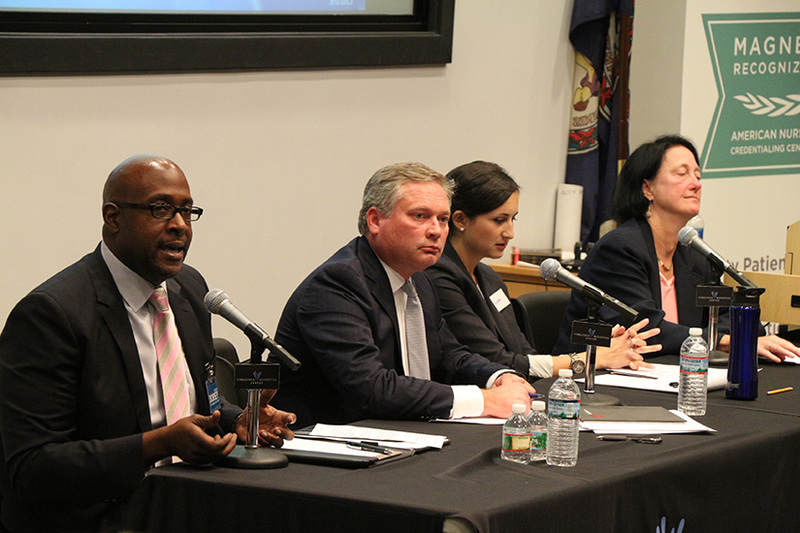 All candidates said they would work to be open and more transparent about decisions, acknowledging decisions around the Western Rosslyn Area Plan, Reevesland Farmhouse and Fire Station 8, were not handled properly when it came to informing the community.